All you need is a great photo and the right words to get friends and family excited for the upcoming occasion! 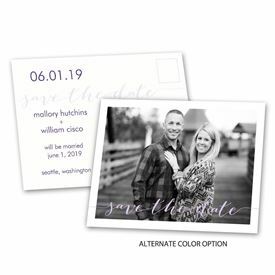 These save the date postcards feature your photo on the front with "save the date" printed in the font shown in your choice of color. Your wording is printed in your choice of colors and fonts on the back. 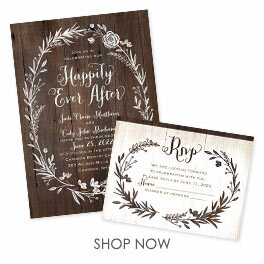 Choose save the date postcards and enjoy great savings on postage! Personalization Options: Your choice of ink colors, fonts and wording. Your choice of photo.